This is the final editorial to be milked from my recent summer vacation to the Mediterranean, I promise. As I still have a cache of cool car photos from Europe, I’ve cobbled together a photo essay chronicling “European Automotive Phenomena” which aren’t observed back in the USA. 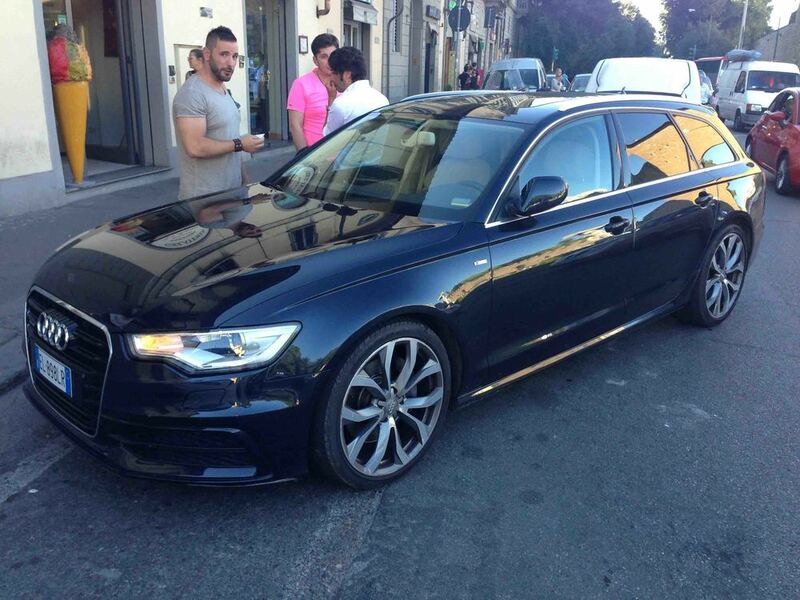 In the US we get the Audi A4 “allroad” wagon, and for that I’m thankful. But in Europe, Audi offers more options for hauling that extra junk in the trunk, including the faster RS4 wagon (or rather “Avant,” as Audi calls its wagons), as well as the larger, sleeker S6 Avant. If it weren’t for the success and popularity of Audi’s Q5 and Q7 SUVs, these wagons might have a fighting chance to come back to the States. While the name sounds like a nice glass of French white wine meeting Montezuma’s Revenge, Chatenet is actually the French region from which this micro-car originates. This not a case of the grass being greener overseas, although this fellow seemed quite happy while driving his Chatenet in Ajaccio, Corsica. Stem to stern, Alfa Romeo’s had the best looking product range in the automotive world for years, and is poised to return to the US market with the 4C in 2014 – following an absence of nearly 20 years. Why must we settle for being ticketed or hauled to jail in a dowdy Chevrolet Caprice Classic? The Italians bring zest and panache to every occasion and law enforcement is no exception. You may have noticed I love toy cars - don’t judge - and here’s a Mercedes ambulance (complete with accident victim on a stretcher, which is a nice touch for the kids) and Jaguar XJ12C police car. 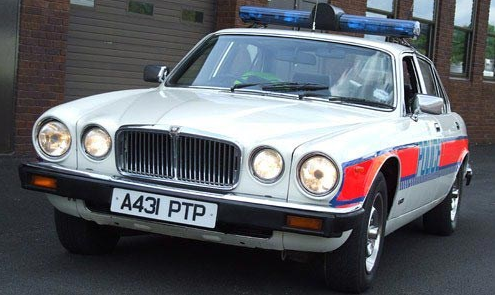 I love that the English “bobbies” actually used Jaguars in the late 70s as police cars, as breakdowns surely gave suspects a more sporting chance of escape. Speaking of Jaguars, I saw this clapped-out but still lovely XJ6 3.4 in Ajaccio, France (the birthplace of Napoleon, by the way). 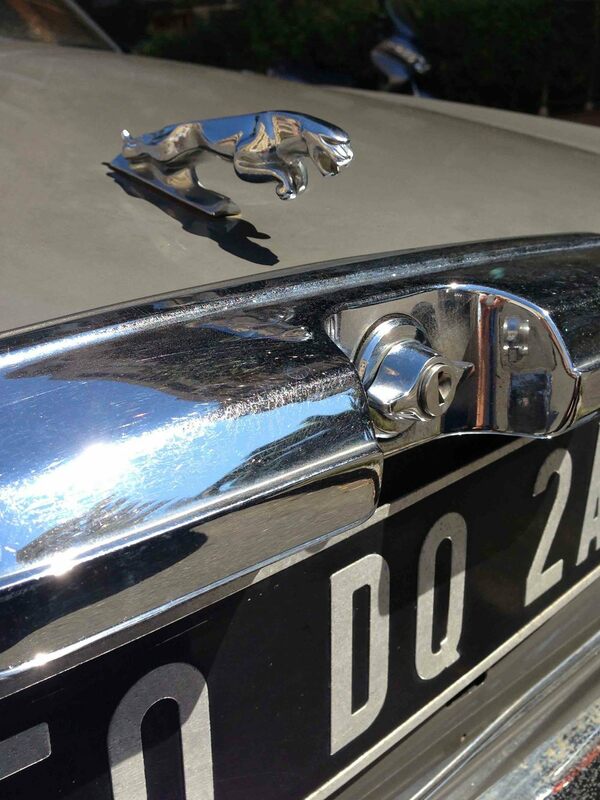 I’ve never seen a leaping Jaguar ornament mounted to the trunk as well and the hood, but I think it works. As we were on a cruise, I only had a few hours “just stopping by” Capri and didn’t get a photo of an original 60s FIAT “Jolly,” which are to Capri what cable cars are to San Francisco. But I did get this latter day (I think from the 70s) open-air FIAT limousine. Earlier on the cruise we went to Sorrento, where I found this 60s FIAT Spider parked inside the Camera & Cucina café; and throughout Italy, lots of classic FIAT 500s like this one below. I have always had a soft spot for the Scirroco, which debuted in 1974 and was penned by legendary designer Giorgetto Giugiaro (of Maserati and Alfa Romeo fame). 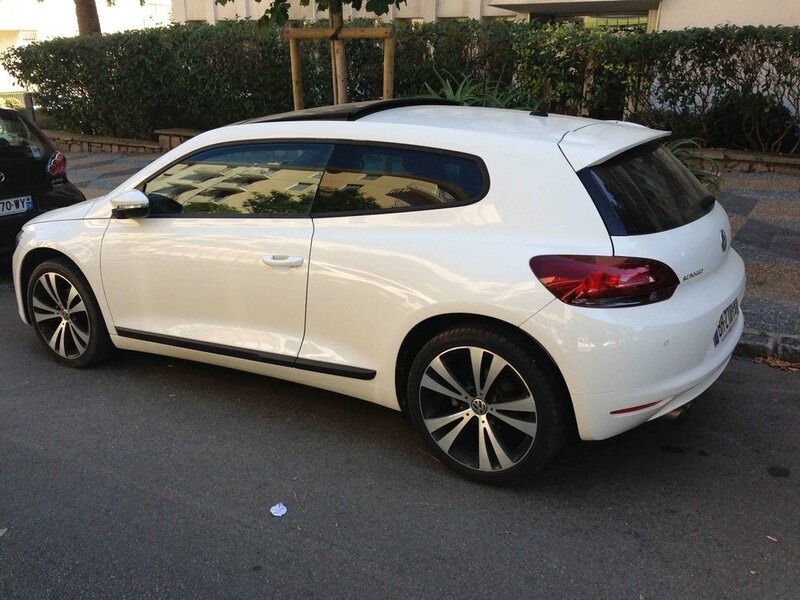 While this new Scirocco can’t claim the same pedigree, it’s a good design and I’d love to see them in the States. In my interview with Paolo Tumminelli (click here), he sites these trendsetting quadracycles which were 2012’s best selling electric plug-in vehicle in Europe. Behind the driver’s seat is a small cubby with a seatbelt for groceries (or a red-headed step-child), which is billed as a “1+1” seating arrangement. 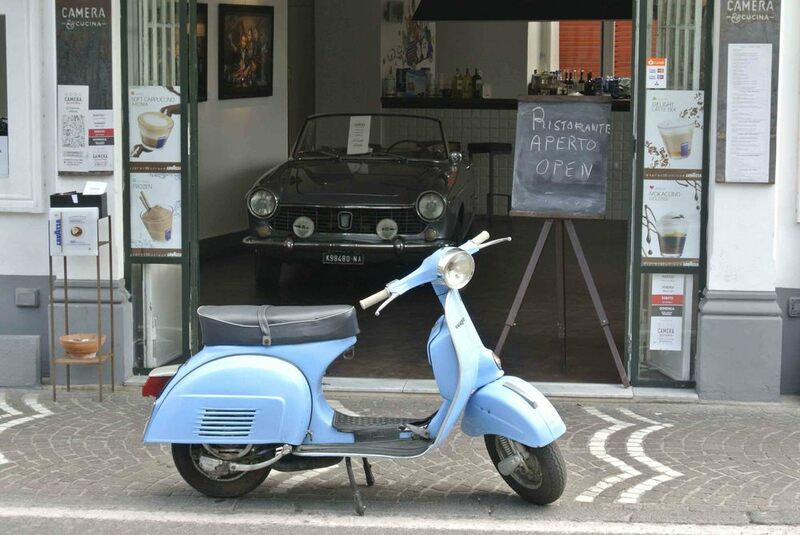 Priced around 8,000 Euro and narrow enough to stack side by side into a single parking space, this would be a perfect option for wimps like me who lack the cajones to ride even a Vespa.